Go to Miscellaneous >> 1 - System Options >> 2 - Sales Options 2. Click on . 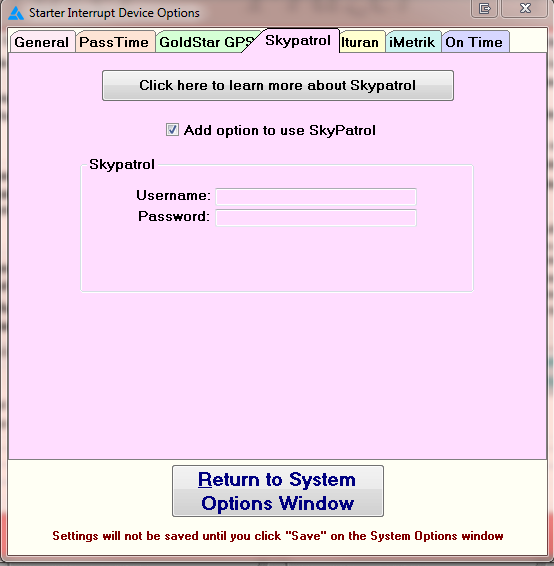 Check the box to Add the Option to Use Skypatrol, and add your Skypatrol username and password. 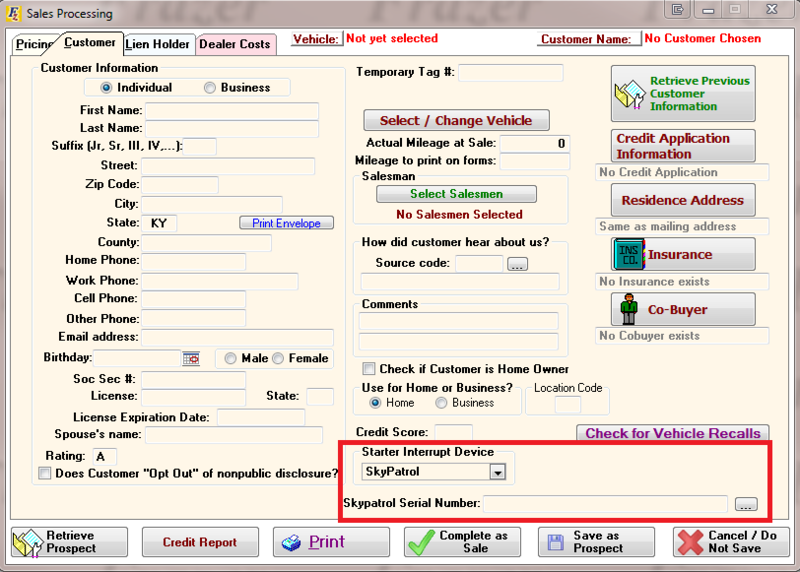 You can also add one after the sale by clicking Customer Processing > Customer Information and Costs > and Miscellaneous. 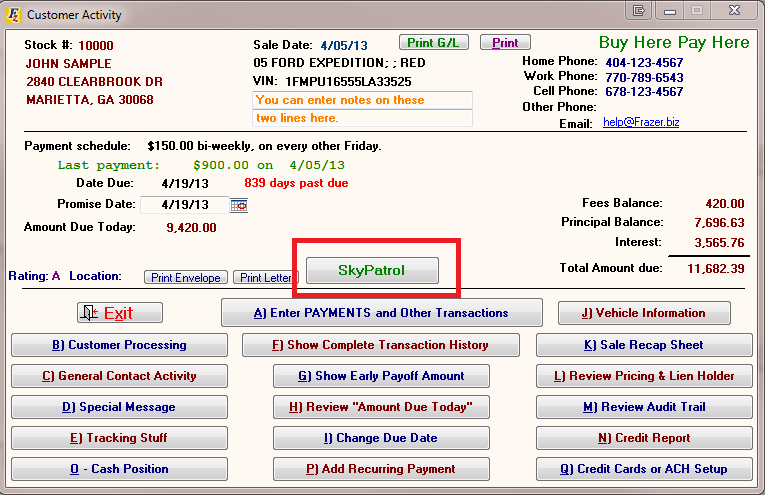 A button on the Main Customer activity screen will log you in to the Skypatrol Service for that customer.